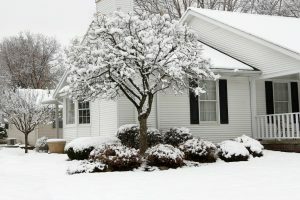 Northwest Roofing is happy to provide you with a Winter Checklist for your home. Walk around your house outside and check your roof for missing shingles. Missing shingles can cause leaks or water damage. Re-caulk control joints in the driveway when weather permitting. Keep garage door closed to cut down heat loss. Seed and feed your lawn. Drain outside faucets, remove all hoses and put faucet covers on outdoor faucets. Check drainage swales for proper rain water flow. A swale is a like a gentle ditch which is a foot or more wide. It is pitched so that the water will travel from the higher elevations to lower points. The swale should lead the water away from your home. Clean out your gutters so that rain water flows out correctly. Bring inside any plants you want to save from the harsh weather or cover your plants to protect them and help keep them from freezing and dying. Lubricate door hinges, latches and hardware. Use wood conditioner on all wood cabinets. Inspect backsplash caulking and re-caulk as needed. Inspect shower and tub caulking and re-caulk as needed. Review your home warranty manual and home insurance policy. Don Rutherford, Business Owner and Roofing Contractor for Northwest Roofing, Haslet, TX. 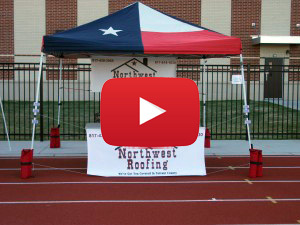 Be sure to follow Northwest Roofing on Social Media: Facebook, LinkedIn and Twitter. You can also check us out on Better Business Bureau of Fort Worth. Take a look at the Gallery of Homes that we serviced and read our satisfied customer Testimonials. Besides roofing, we offer other Services as well. Be sure to use our easy Contact Us form to let us know how we can help you with roofing or other services. Thank you.